eCommerce businesses are growing like mushrooms in the recent times where advancement is the only key to success. Everyone wants to gain benefit in their business with a unique online presence and this is the reason business owners are finding new ways each day to deliver something fruitful for their brand. 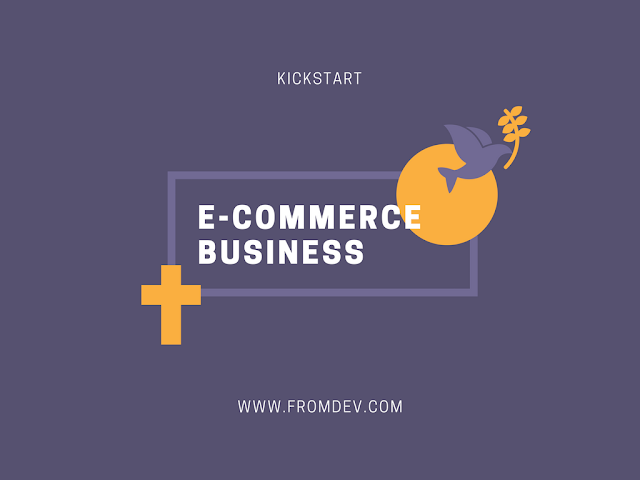 eCommerce is the most trending yet easiest concept to gain profit where the only need is to follow some intelligent steps before you launch your website. It can be termed as an exciting avenue that you can use well to generate heavy revenues. When you are deciding your product offerings, there are several aspects you need to consider. Here, you need to select one with a huge global demand and high margins that can be effortlessly managed in no time. You can identify relevant products for you through the resources like Google Trends, eBay and Amazon Best Sellers. These can give you suggestions about the hottest products and the new websites selling them. It is better to spot a trend at the earliest to grab more chances of turning this opportunity into a thriving online business. Your brand name must be appealing to your target audience with a pretty meaning that can lure a crowd. Search does not end here. This name should have availability in the domain name and several social media channels. If you are not finding a perfect name, you can also try with this search tool from Shopify. A ‘.com’ is always preferable even if you have to pay a premium amount for it. It is obvious that a business will be considered sole proprietor if you will not declare it a LLC or Corporation. A noticeable fact is that a corporation or LLC keeps you and your assets separated from the business. Whereas, if you are owning a sole proprietor, the assets of your business are at high risk. Although there are plenty of sources available to get an endless source of website traffic, a reliable manufacturer is a great need who is supposed to keep everything in demand. Without this, you seem to be a dumb terminal. Alibaba is a good resource with which you want to communicate to an overseas manufacturer. As everything has settled, now this is the time to build your e-store with all the features and functionality embedded into it. Shopify can be a good choice for all the available options, with minimum technical knowledge and budget required. With plenty of themes that Shopify offers, it is an easy go to create a custom eCommerce web design. Marketing is what makes you grow wide to reach a good place in this global web world. To achieve the same, a prominent way is to set up social media profiles and write content for your blogs so that you can publish it at the right time. It is a strong yet intelligent aspect to put your offerings in front of the consumers that might be interested in what you sell. You can also run Facebook ads campaign to generate sales immediately. Here, some long-term components such as search engine optimization can be used as well with a sole motto to create revenues. What is the cost of your product per unit, landed on your front door? How much is the shipping cost calculating all the fulfillment costs, like software, staff, etc? What are the estimated fees of the merchant? It is always suggested to cut your costs. The major reason behind this is, as the sales volume increases, it certainly results in the rapid improvement of your revenues. Every single penny that has been saved can be allocated to the marketing and advertising divisions with an ultimate goal to further grow your business. By the time you will finish exploring the above steps, you will be going to understand the crucial facts of how to start an eCommerce business and take it to the top. You must know who are your competitors and what they are doing differently to sell their products that you are lacking. Having a clear idea of all these pointers can swiftly turn your prospects into customers. Jacob Colleen of this post is an expert eCommerce developer from Webby Central. He has tremendous expertise in several eCommerce web development aspects that can act as a milestone in setting up an eCommerce store.